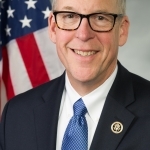 WASHINGTON, District of Columbia – U.S. Rep. Greg Walden (R-Hood River) is concerned about the green new deal from Democrats. He says Republicans support environmental protections, and also support economic growth. He says the GOP wants to see details about the Democrats plan. They have talked about having 100 per cent renewable electricity by the year 2030, which could cost nearly $6 trillion dollars. Walden says reducing regulations on renewable energy projects will help. “Legislation we passed into law in the last Congress will streamline the permitting process for closed-loop pump hydropower projects,” Walden said. He added that a project in his district will power 600,000 homes. He says Congress needs to balance its goals for environmental change with what the country can afford.